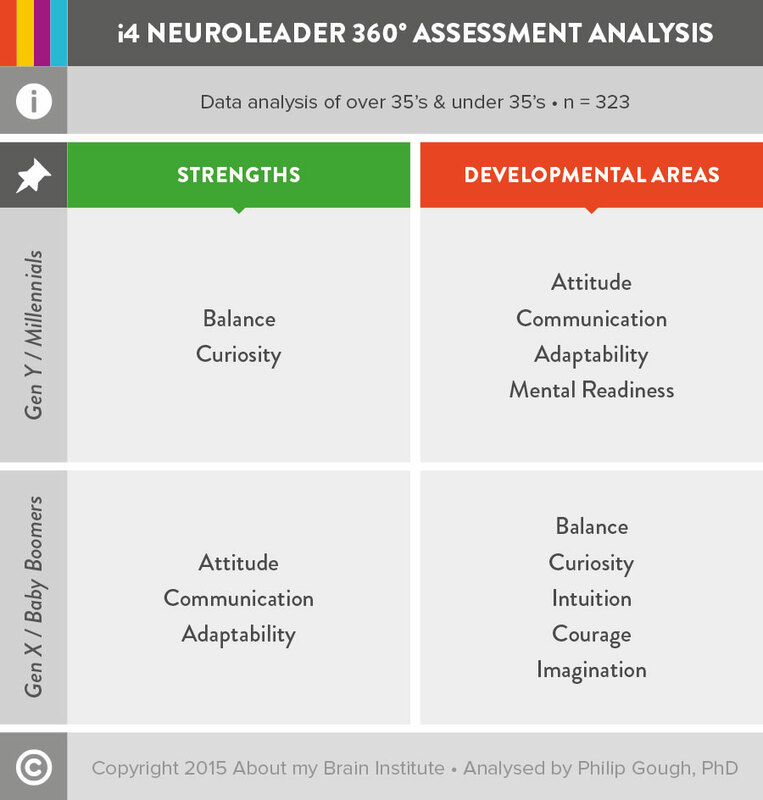 An application of the i4 Neuroleader Model & 360 Assessment. A program created by Silvia Damiano from the About my Brain Institute in conjunction with RYLA. The Rotary Youth Leadership Awards (RYLA) is a recognition program for high-potential 18 to 26-year olds, selected by Rotary based on their significant leadership potential. They and others like them are the individuals who, in 15 or 20 years, will be heading up our largest companies, be influential voices with the ability to shape public opinion, and be elected and thereby entrusted to manage the affairs of our country. These future leaders, or ‘RYLArians,’ participated in a challenging week-long residential retreat-- one designed to foster new ideas, share opinions, promote self-discovery, create enduring friendships, and build stronger ties to the community. Over the last few decades, leadership/management development programs were often the privilege of a select few, offered to assist people in organisations to improve the skills thought to be necessary in order to be an effective leader of others. These programs were typically offered only after individuals found themselves in leadership roles—with development on a parallel track with the existing demands of leading a team. The demands of today’s innovation-era economy and the growing number of GenY/Millennial workers are actually creating a unique opportunity. As the primary skill-set for leaders shifts to support abilities that inspire, motivate, and engage others, and GenY/Millennial voices call out for developmental opportunities that help both organization and individual to succeed and grow, personal leadership models are emerging, like the by example, that apply to any individual, at any level, and of any age, gender, or race because they are also, at their core, individual effectiveness models. The changing landscape of today’s workplace has afforded us an opportunity to prepare our future leaders for the demands that will be facing them years from now. 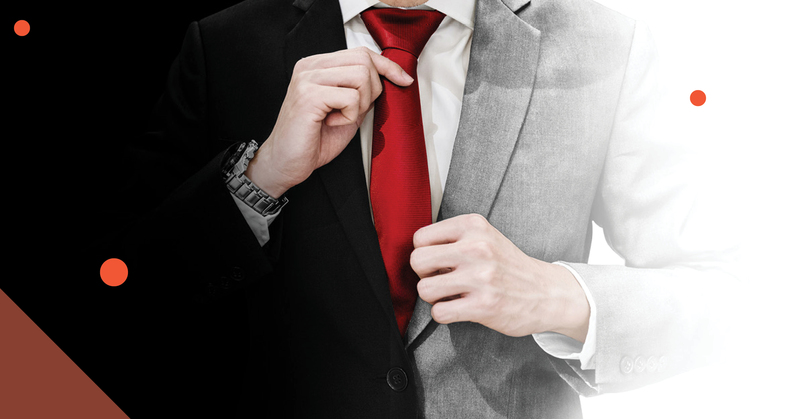 Imagine the very tantalizing prospect of new leaders, stepping fully and confidently into leadership roles, and using skills they have been developing since the very start of their careers. This was our reason, our imperative, to be a part of this seminal development program for these already outstanding future leaders. With the Rotary as our enthusiastic partner and sponsor, we offered each of the participants the chance to learn more about themselves, to experience the power of feedback, and to learn about effective leadership. Their learning journey included workshops and the completion of the as a way to introduce the importance of receiving feedback and the need to practice self-reflection as two of the key pillars in the development of leadership. The video case study contains actual footage shot during the retreat on the day when all 100 participants received their i4 Neuroleader 360 reports. It also contains interviews conducted with both the participants and their Rotary sponsors. For many, this was their first exposure to receiving feedback through the use of a 360 assessment tool. The enthusiasm, curiosity, and natural courage displayed by the participants was congruent with trends extracted from their group data, which are highlighted in the insights section that follows. With 100 participants (all within the same GenY/Millennial generational age group) taking the i4 Neuroleader 360 assessment at the same time, a unique opportunity emerged to analyze the group data and compare those results to trend data within our larger global database. What might the data confirm in terms of what we know, or intuitively know about this emerging and fast growing segment of our global workforce? What surprises might the data reveal? And most importantly, what could the data tell us to better understand, connect with, and address the current needs of tomorrow’s future leaders? The data told us quite a lot. Based on the analysis of the RYLArian group data, the i4 pillars with the greatest average scores across their rater data were curiosity and balance. The most significant areas for improvement for this group were in the pillars of mental readiness, adaptability, communication and attitude. Compare this result to our more ‘mature in years’ global database sample (the ‘over-35s’), where the pillars of greatest strength were adaptability, attitude, and communication—almost the exact pillars that are areas of developmental need for our high-potential future leaders (the ‘under-35s). And the top areas of developmental need for the ‘over-35s’ group—Intuition, Balance, Courage, Imagination, and Curiosity. So, what happens to individuals as they move from the wide-eyed, enthusiastic and courageous youths in our ‘under-35’ sample to the more ‘seasoned’ business people who populate our normative sample? As most individuals over the age of 35 might intuit, the innate i4 Neuroleader model strengths of balance and curiosity—found in abundant supply in our RYLArian group data, dissipate over the next 10 to 15 years-so much so, that pillars of innate strength for under-25s become areas of developmental need (on average) about the time when these individuals are leading teams, departments, divisions, and in some cases, entire organizations. What happens, over that 10 to 15 year-period, that drains away the strengths of balance and curiosity? While it could be interesting to speculate, even assign blame for this erosion of strengths, it is probably more useful to speculate on what might be possible if individuals never lost these strengths in the first place. If at age 35, or 40, or 50, the average leader were both naturally balanced and curious. How might the average workplace, your own workplace by example, be affected by leaders who were both supportive of and encouraging their teams to exercise, eat well, take regular breaks from work, and daydream? Who regularly sought out feedback and acted upon it, stayed current on new thinking, research, and technology, and sought to change the status quo when there was the potential to improve productivity through new efficiencies and through lifting employee engagement by reinforcing the need for and value of balance in the workplace? And what about the ‘under-35’ groups areas of developmental need—in the pillars of attitude, communication, adaptability, and mental readiness? 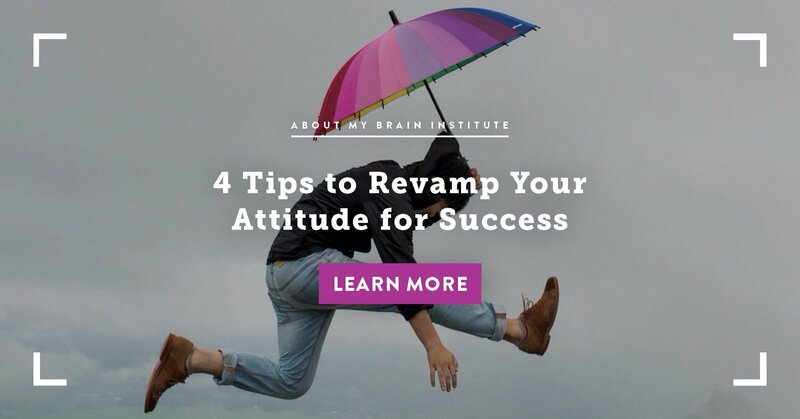 The same trend analysis suggests the development of the pillars of attitude, communication, and adaptability naturally occur with experience and age—becoming strengths later in life. Again, what are the possibilities, if we accelerate these critical leadership pillars through development at the start of an individual’s career, while simultaneously nurturing their existing strengths of balance and curiosity? Here is another tantalizing thought—a high-performing individual contributor, technically strong, who is promoted to lead a team for the first time, say at the age of 28, who embodies the behaviors of balance, is naturally curious, is a great communicator with a positive, ‘anything is possible’ attitude, and comfortable with ambiguity and the ever changing landscape of business? One possible outcome from the described scenario is the heads of Human Resources across the nation, and particularly in the tech sector capital of Silicon Valley who face this emerging leader ‘skill vacuum’ every day, simultaneously letting out a giant squeal of both delight and relief, bested only by the same sound made by the individuals who end up reporting to these new leaders. Delighted squeals aside, the real possibility that emerges is the transformation of new leaders and the workplaces they lead. And it is more than possible. It is infinitely achievable if businesses simply changed the lens through which they view leadership success and start developing emerging leaders using a personal leadership model that will equip them for success when that first and critically important promotion to a ‘leader of people’ occurs. We believe that the heads of Human Resources department across the country and around the world would agree that leadership skills are as important as technical ability when considering who to promote into a team leader role—a defining moment in any individual’s leadership journey. It is likely they would also agree that too often, leadership skills become secondary to technical ability when promoting an individual into a team leader position, mainly because those skills are not developed--are not an organizational priority--until a leader is already in the ‘hot seat.’ When leaders are already leading. The emergence of personal leadership models like the i4 Neuroleader Model are providing organizations with a unique opportunity to address this widespread phenomenon—of new leaders being thrown into the proverbial ‘deep end of the pool’--forced to lead while learning to lead at the same time--and with a fair number of them sinking rather than swimming. 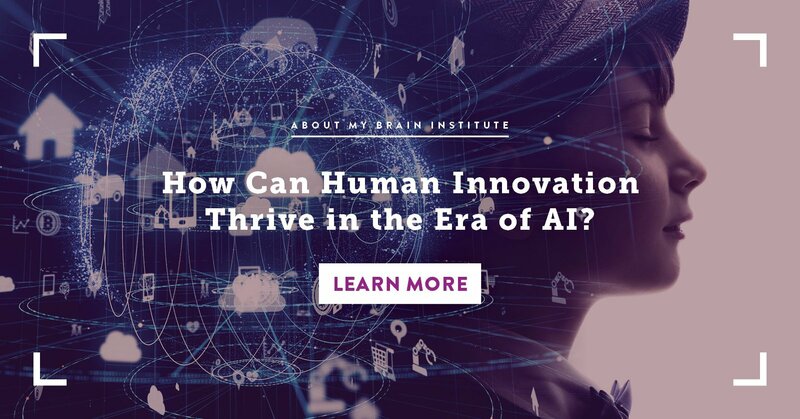 One solution—embrace new thinking and new models of leadership for the new workplace demands of today’s global innovation economy. Nurture your employees’ innate strengths from the start of their careers while accelerating development of strengths that normally take years, decades in some cases, to emerge. Finally, create a culture where feedback is truly viewed as a gift. One that is received with the enthusiasm, curiosity, and courage demonstrated by our RYLAian leaders of tomorrow. We have a passion for high-quality content & making our articles accessible to everyone. 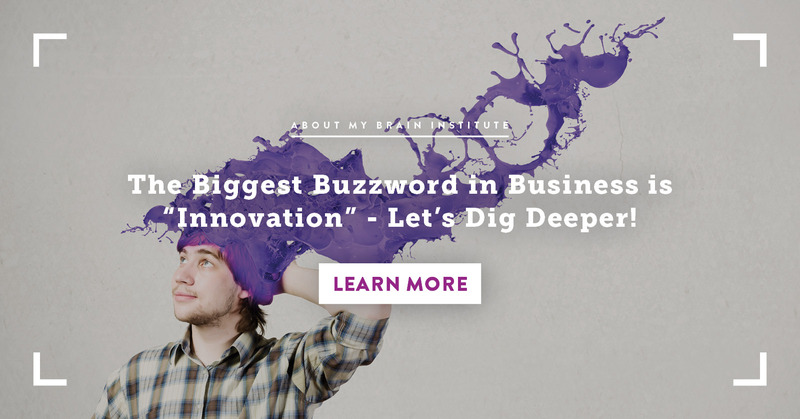 Stimulating creativity, inspiring you through stories & interesting insights of how neuroscience can be applied to your life is what we live for.